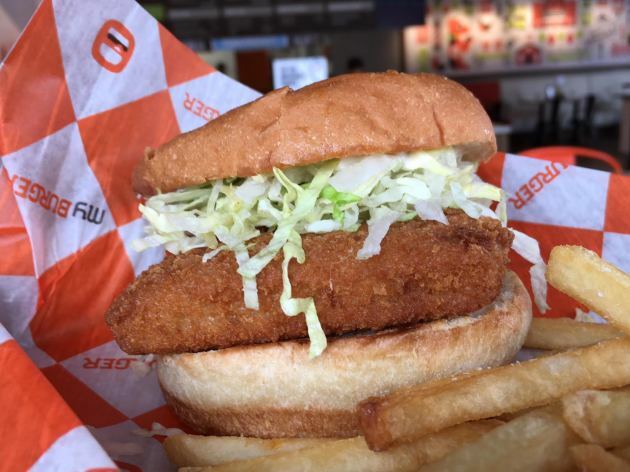 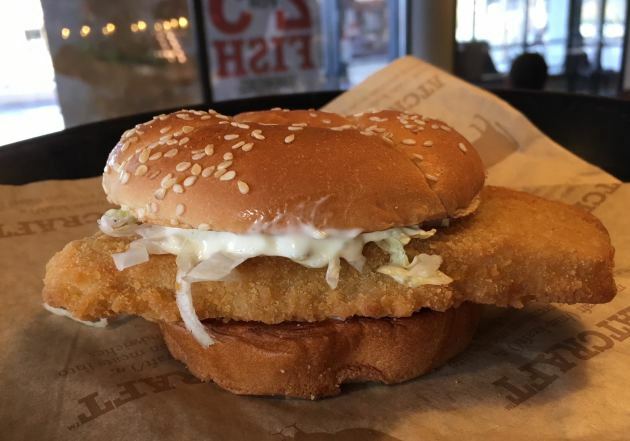 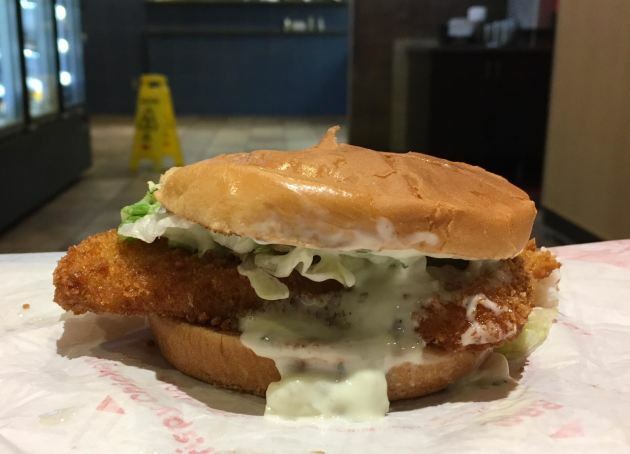 Burger Friday is taking a peek at the fast-food version of the fish fry: the fish sandwich. 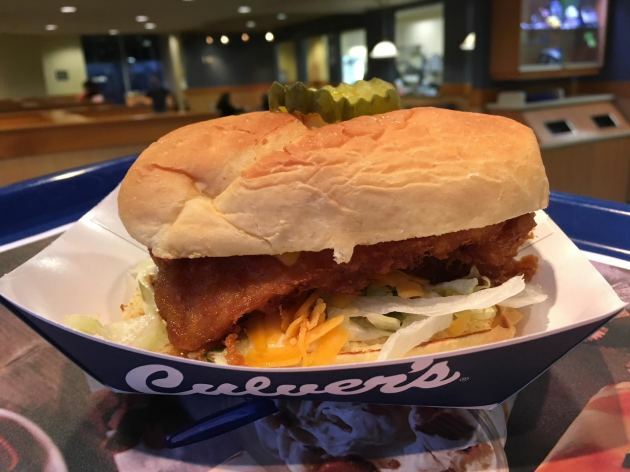 Here’s a rundown on nine iterations, all available in the Twin Cites metro area (that's the one to beat, pictured, above, from My Burger). 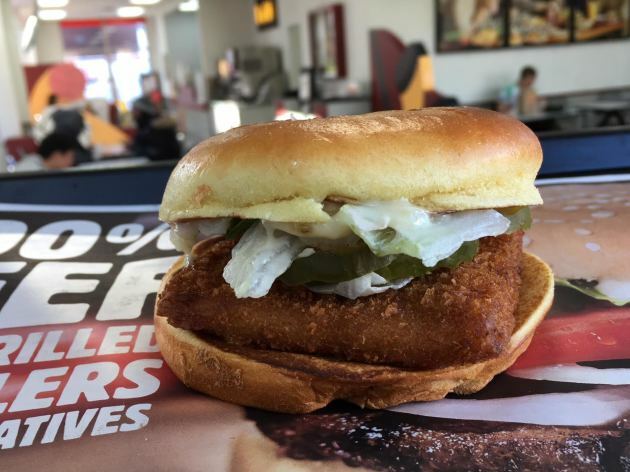 OK, I’m cheating a bit here. 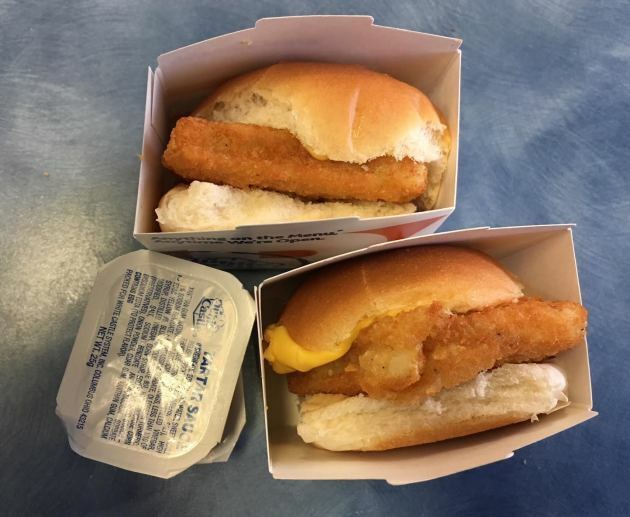 For a crack at a superior specimen – one that’s far outside the fast-food orbit, however -- consider investing in the brilliant “Filet-O-Fish” idealization (pictured, above) that chef Dennis Leaf-Smith fashions to perfection at Eastside. 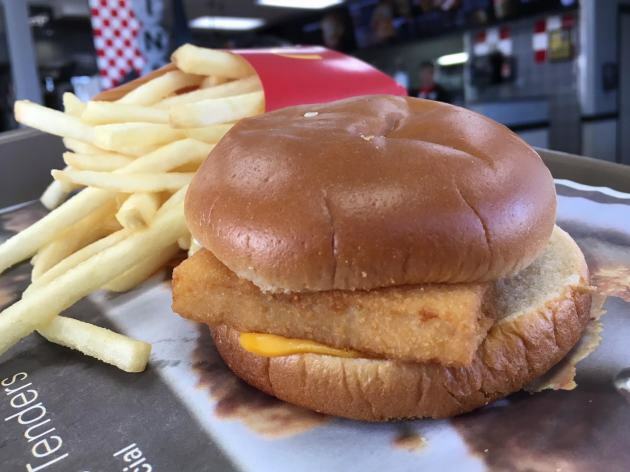 (Also remarkable: the $12 Filet-O-Fish homage that’s a staple of the Sea Change lunch menu). 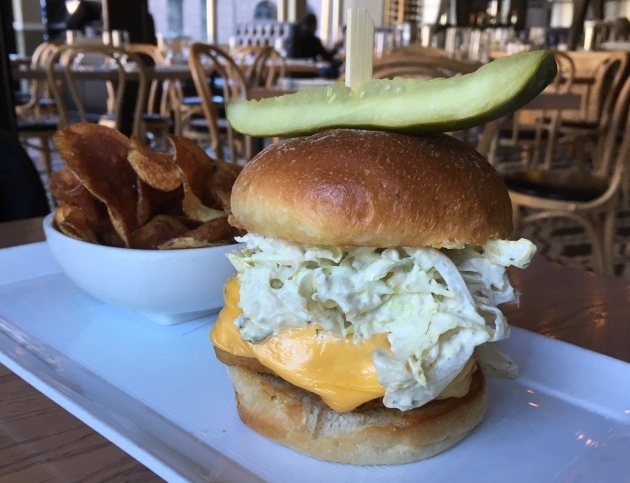 Find it on the restaurant’s lunch menu, and read all about it in this love letter I penned in 2016. 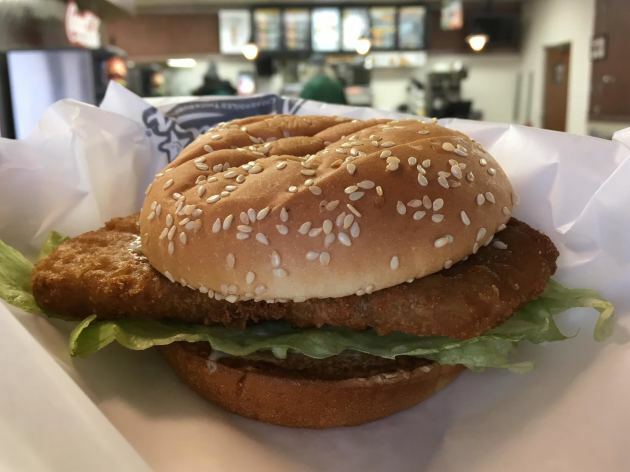 Sure, at $14 (that includes house-made, can't-eat-just-one potato chips), it’s roughly four times the price of the average fast-food versions. 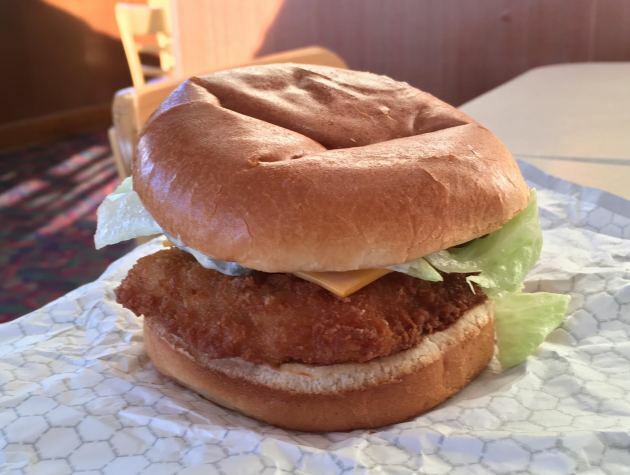 But the mathematics are definitely working in its favor, because this beauty is also roughly 40 times better.